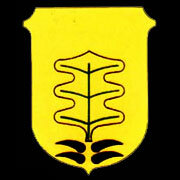 Formed May 1938 in Cottbus. On 1 Nov 1938 redesignated Stab/Aufkl.Gruppe 41. Formed 1 Oct 1937 in Cottbus from 1./Aufkl.Gruppe 212. On 1 Nov 1938 redesignated 1./Aufkl.Gruppe 41. Formed 1 Oct 1937 in Cottbus from 2./Aufkl.Gruppe 212. On 1 Nov 1938 redesignated 2./Aufkl.Gruppe 41.